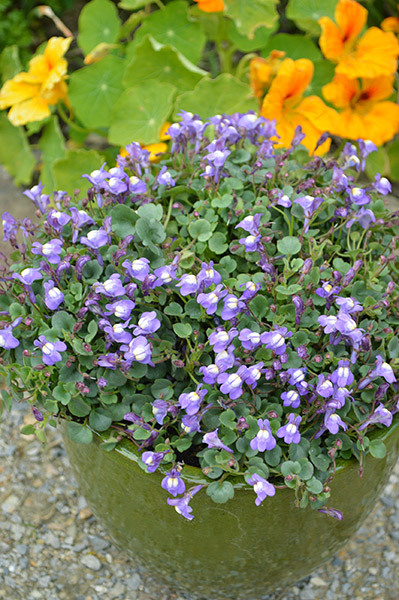 Forms a dense and ornamental mat of low growing, round leafed foliage. 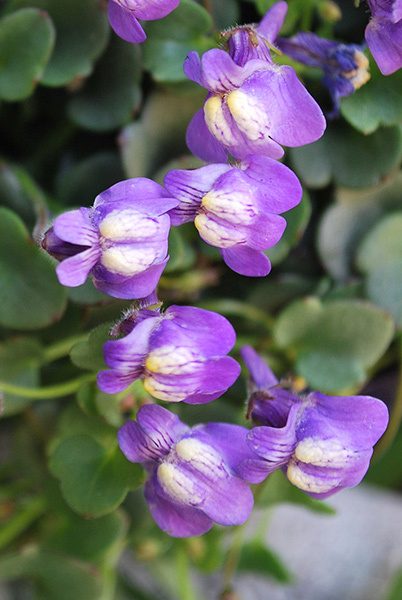 Profuse display of dainty lilac-blue flowers from summer to autumn. 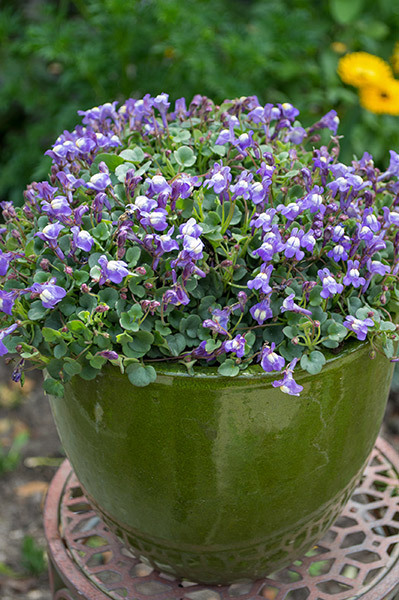 Easy to grow and ideal for small or narrow spaces. Grows well in most soil types which are moist but well draining. Enjoys a sunny location given protection from strong afternoon sun or in lightly shaded areas. No pruning is required. Apply a slow release fertiliser during spring. Mulch well to help retain moisture during dry periods. Naturalise as an ornamental ground cover in sunny but protected areas or in part shade. Will cascade over retaining walls and through rockeries.